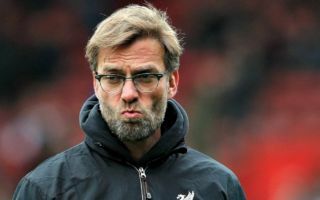 Real Madrid are reportedly ready to make Liverpool’s Jurgen Klopp the highest paid manager in the world if he leaves Anfield to take over at the Bernabeu. According to Spanish source Don Balon, Los Blancos are increasingly confident a deal can be done to persuade the German to move for a big-money deal. Klopp is undoubtedly one of the finest managers in the world at the moment, having done great work at Borussia Dortmund before also impressing in his current role at Liverpool. Although the 51-year-old is yet to win a piece of silverware with Liverpool, he won two Bundesliga titles at Dortmund and his side now top the Premier League, while they’ve also been runners-up in the Champions League final, Europa League final and League Cup final since he took over. It’s easy to imagine that Klopp could enjoy even more success with the kind of resources he’d have available to him at Madrid, while La Liga is also a less competitive league in general. It remains to be seen, however, if he can be persuaded to leave this exciting Liverpool project as he really looks to be turning them into one of the finest teams in Europe.